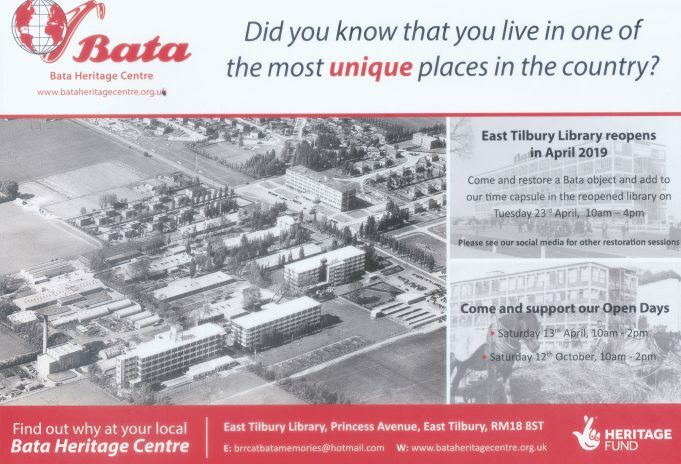 The next Bata open day will be 13th April, from 10.00 to 2.00. There will be a display of objects from the collection. There will also be three guided walks. More details on the Bata Heritage web site.